If confirmed, the erstwhile Trump rival will oversee American energy policy and its ramifications on the economy, environment and national security. President-elect Donald Trump has reportedly selected erstwhile rival and former Texas Gov. Rick Perry to serve as his energy secretary. If confirmed, Perry will oversee American energy policy and its ramifications on the economy, environment and national security. CBS News and other outlets reported the news late Monday night, hours after Perry met with the president-elect in New York. It was the second time Perry had made the trip to Trump Tower. Trump's transition team did not confirm the report Tuesday morning but praised Perry's time as governor. "They talk about Texas' economic revival and a lot of that had to do with the energy sector," Trump spokesman Jason Miller told reporters. Yet Perry has previously supported abolishing the Department of Energy entirely. Famously, during a presidential debate in November 2011, Energy was the third federal agency that Perry couldn't name while trying to list the three he wanted to eliminate. “It’s three agencies of government when I get there that are gone — Commerce, Education and the, um, what’s the third one there? Let’s see,” Perry said, before finally giving up with his now-infamous "oops." On Tuesday morning, Trump aides did not seem concerned with the possibility of selecting someone to lead a department that he had once wanted to eliminate. "It's [Trump's] agenda that's being implemented, not somebody else's," Trump spokesman Sean Spicer said. "It's not a vice-versa thing where we're buying into their agenda. They're buying into our agenda." The appointment marks a full repair in Perry’s relationship with Trump. Perry called Trump “a cancer on conservatism” last year while the two men were in a crowded field for the Republican presidential nomination. But Perry was one of the first members of the Republican establishment to back Trump, once it became clear in May that the real estate mogul had secured the party's nomination. Perry’s background as governor of Texas, a state rife with natural resources, is a key qualifying credential for the post. But this Cabinet role can go well beyond oil and natural gas. The outgoing secretary of energy, Ernest Moniz, had a physics background and played a central role in President Obama’s Iranian nuclear deal. While Perry's nomination is not official yet, Texas Republicans began celebrating the news Tuesday morning. U.S. Rep. Joe Barton of Ennis, a member of the House Committee on Energy and Commerce, called the former governor an "excellent choice." "Perry possesses a very strong energy background and has a track record of proven executive leadership," Barton said in a statement. "I have known Rick Perry since we were classmates at Texas A&M University, and he has always been a man of character. America is an energy superpower and Gov. Perry’s expertise will be a valuable asset to the administration." Some of the reactions were more playful, given Perry's infamous debate flub. The Club for Growth, a conservative group, said it supported Perry for the job — "and the most important pro-growth step he could take at the Energy Department would be to fulfill his 2012 campaign pledge to eliminate it." 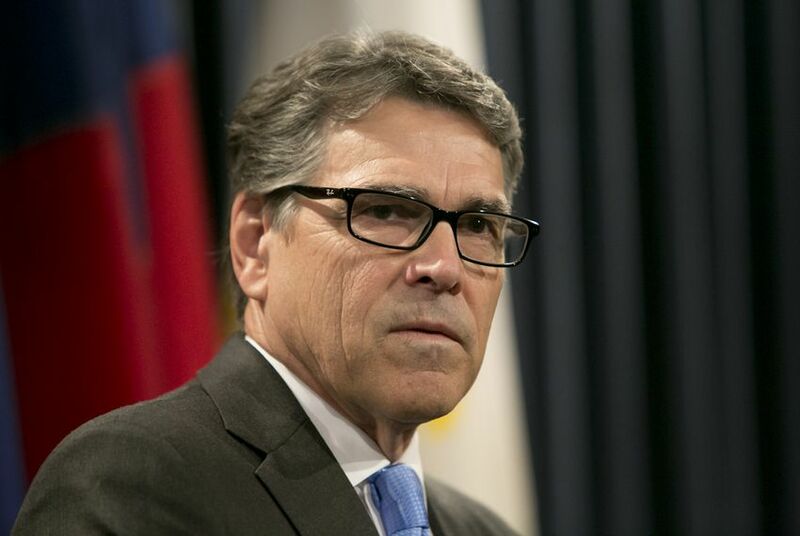 If confirmed, Perry will be the third Texan to serve as secretary of energy. Previously, Houstonian Charles Duncan served in this role under President Jimmy Carter, as did Laredo native Frederico Peña in the Clinton administration. Perry will face Senate confirmation once Trump takes office. Republicans control the Senate, making that process all the easier for the president-elect’s nominees. Throughout his campaign, Trump cultivated a number of loyal allies in Texas, making for no shortage of options as his transition team looks to staff the incoming administration. Trump passed over U.S. Sen. Ted Cruz of Texas for U.S. attorney general, opting instead for U.S. Sen. Jeff Sessions of Alabama.